When it comes to Spring, I really start craving refreshing drinks...and I really wanted something new to try. Easter made me think of everyone's favorite candy to talk about (whether you love them or hate them)...Peeps! Microwave sugar and water for 30 seconds, then stir for 30 seconds to make simple syrup. Pour on a plate. On a separate plate, pour your sprinkles. 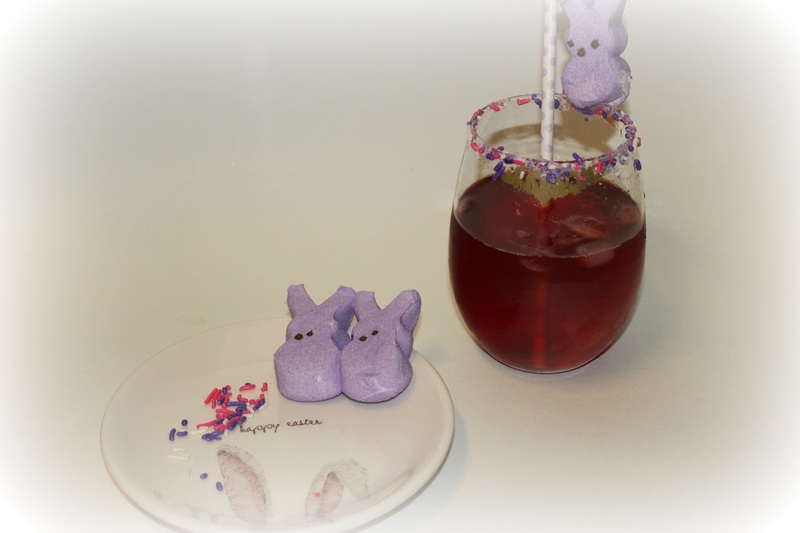 Dip your glass in the syrup, then in the sprinkles to create a pretty candy rim. In a shaker, pour your vodka and cranberry juice over ice & shake for 30 seconds. 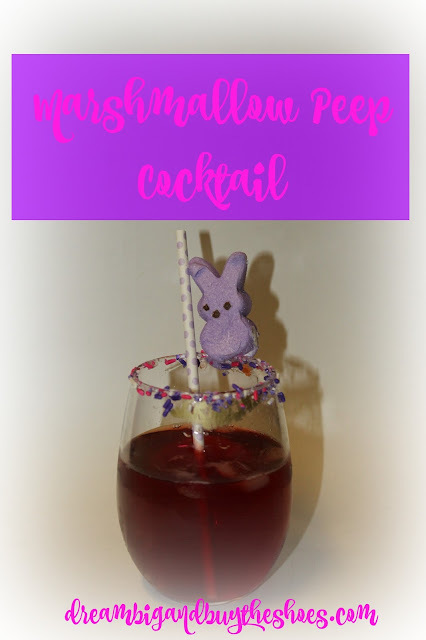 Strain in to glass and garnish with your Peeps Bunny. This cocktail is so easy to make and can easily be changed out with your table decor depending on what sprinkles you want to use, which is really fun. Looking for some Easter decor inspiration? Check out my Easter tree and how I made it festive for the season. If you need some last minute, free decor I've got an Easter printable for you. You can download and print it right away. I hope you all have a beautiful Easter weekend...enjoy your time with your family, friends, and loved ones. Hope the Bunny is good to you!